Been looking for the optimum in a single engine performance vee-bottom? You’ve found it. Hallett’s 290-S Closed Deck blends classic styling with the most advanced and efficient running surface in the boat business….V2D, and the combination is nothing short of exceptional. 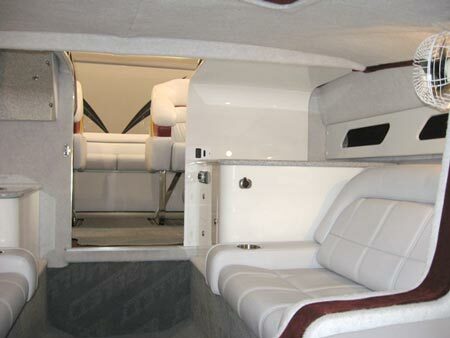 Comfort, luxury, quality and speed, it’s the bar all other boats are looking up at. Hallett engineers every model to be a ‘driver’s’ boat. 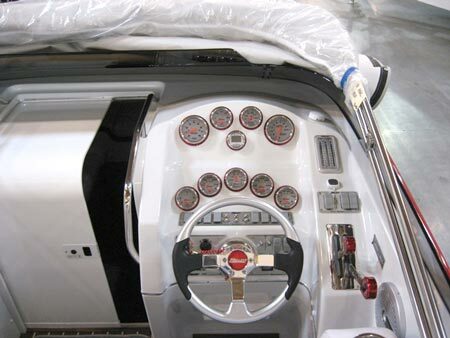 Just look at this instrumentation console and the meticulous craftsmanship used to arrange gauges, throttle/shifter and steering wheel. Did you expect this from a 29-footer? 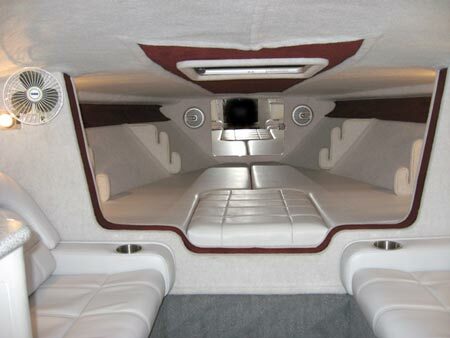 Maybe not, but it’s a cabin worthy of special appreciation. Main salon and forward sleeping vee-berth are genuinely ‘family-sized’. Please don’t call this a cuddy cabin, it’s too grown-up for that. Entryway to the main cockpit is has its own privacy door. Boating becomes a year-round activity with this beauty.